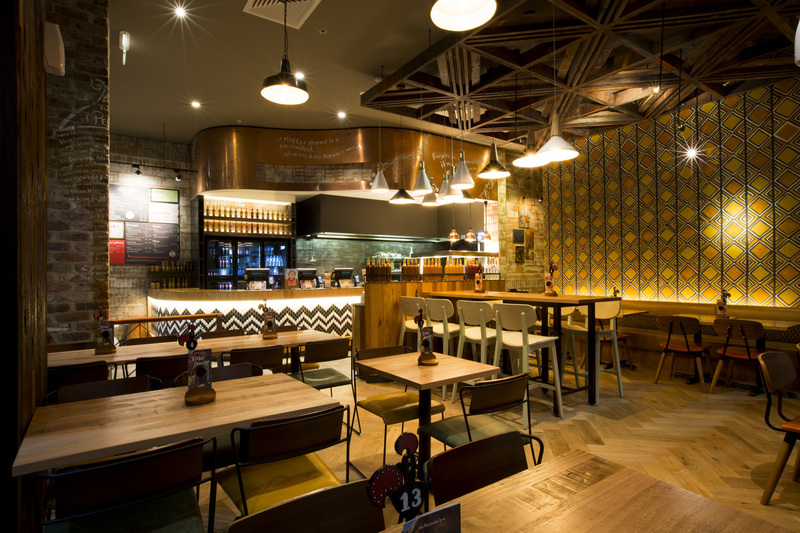 JBM projects has completed Nando’s restaurant fitout in Western Australia. This project in Rockingham WA. 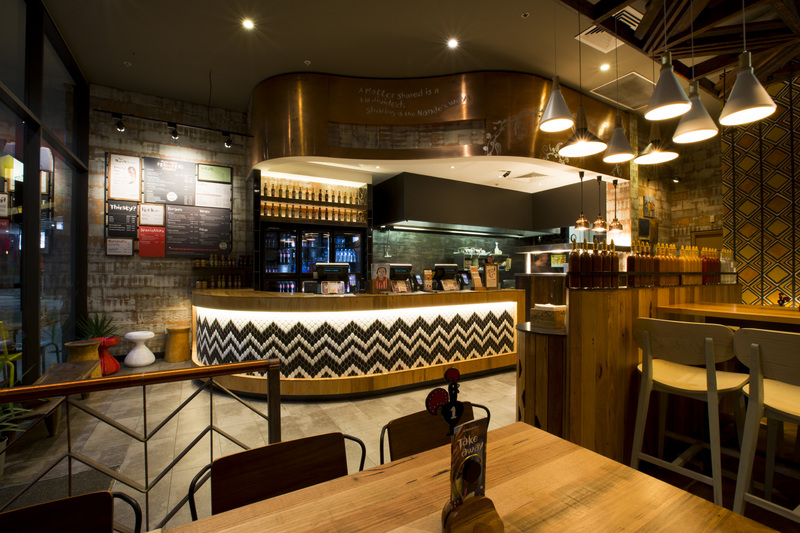 JBM Projects worked closely with the Designers to maintain and work within the requirements of the site and the clients expectations. 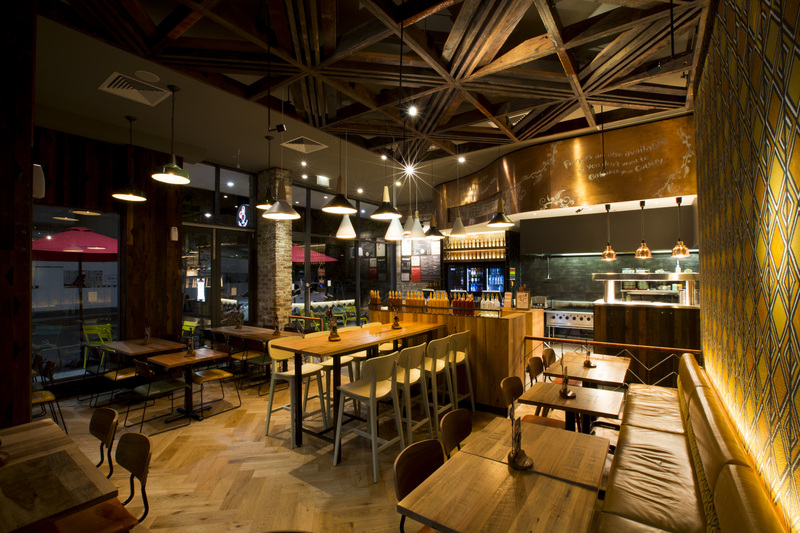 Open ceilings were painted out with suspended recycled timber structures. 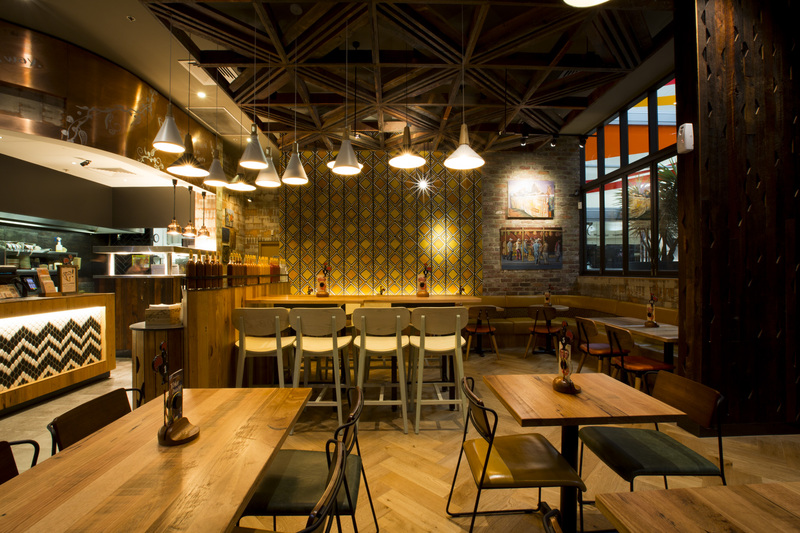 New light fittings, Beautiful Bench seating around the walls and several different wall finishes and parquetry flooring were manufactured and installed to create a unique feature in the space. 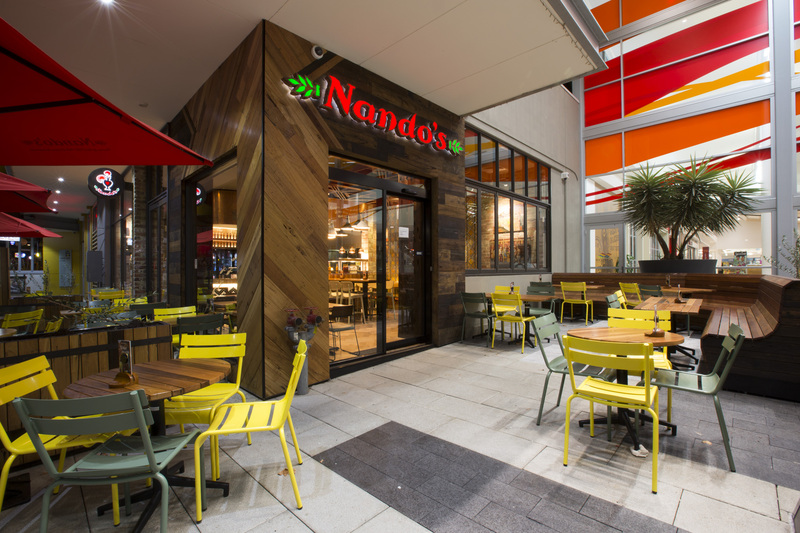 The External shop area is cladded with two separate timbers to create a stunning façade with matching Timber external booth seating and planter boxes.